It’s been a while since I've done a book review, but the topic of webcomics has been popping up more and more frequently lately in the facebook Artist Alley group I’m a part of. While I’m still a “fledgling” webcomic author, I've done a ton of reading up, following and researching on how to best perfect my craft. I will admit, it did bog me down for a while, but I've decided to just… PLUG ON AHEAD regardless of pages and what not and know that it will all improve over time. TL;DR - Just go buy this now. But enough about me, what’s this book I’m talking about?? 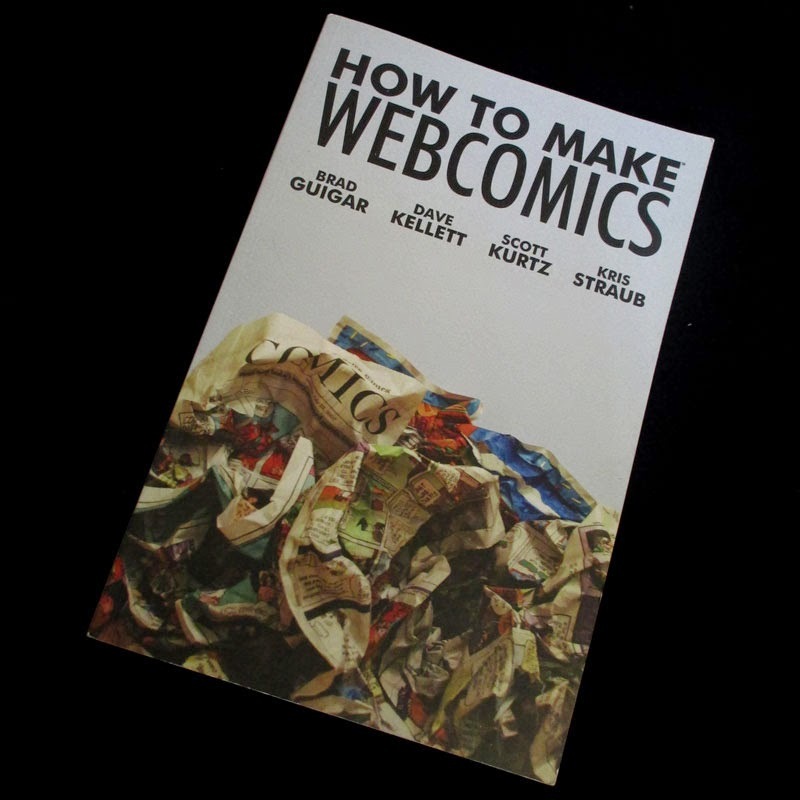 The book-du-jour of today is How to Make Webcomics, written by four popular and successful webcomic artists. 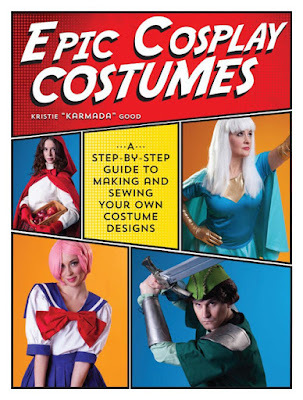 I found this book completely by accident while wandering through a Barnes and Noble – I had been feeling kind of down, and I checked out the digital tutorial area (you know, the one that’s got all the photoshop books ‘n’ stuff), and randomly came across this book. I only remember this because I was in an entirely DIFFERENT area of the store than I usually am, and coming across a webcomic guide of all things caught my eye. While I don’t read any of the comics drawn by the authors (I know, how popular ARE they really then, right? ), I instantly recognized the names and upon opening the book I found I had seen their comics, and knew of them, I just hadn't read them in my travels on the web (for any one of various reasons, mainly things like genre). all delightfully illustrated by the authors! 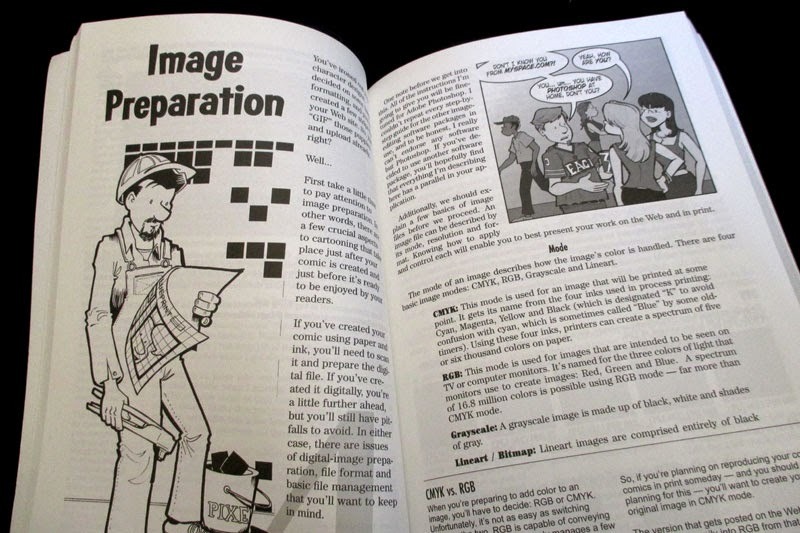 For example, they have an entire chapter devoted to “Image Preparation”. They have all sorts of fun semi-techno babble to help you understand a JPG versus a PNG, and how to clean up linework, and what tones or colors can do for you. They’re clear in knowing everybody’s webcomic is done their own way, but they’ve got GREAT tips for creating your files so you can compile them in books later or make prints. The fact that they make you think about this FIRST is a good sign – many webcomic artists start out making very low resolution, small comics (even if it’s big on the internet 72dpi still doesn’t print well), and when they go to compile them, it just gets disastrous. This book makes you think to the future without disillusioning you. They won’t pull a punch. They’ll tell you it’s difficult, problems you’ll have to face, and how to attempt to persevere through it (they’re not gonna leave you high and dry!). Honestly, it’s one of the more inspirational How To books I’ve come across and I always feel super motivated after reading it. I can't tell you how happy I was to see this chapter! IN AN ACTUAL BOOK NO LESS! Overall, I could gush for hours on this book, so instead of reading my blather, GO BUY IT ALREADY. Moderate. I say moderate because they already assume you've got the inspiration to start whether you’re the artist or the writer (though the book leans more towards artists). They don’t want to spend a lot of time on “here’s how you draw x” instead they are going to take the knowledge you (most likely) have and tell you how to apply it and make it more effective. 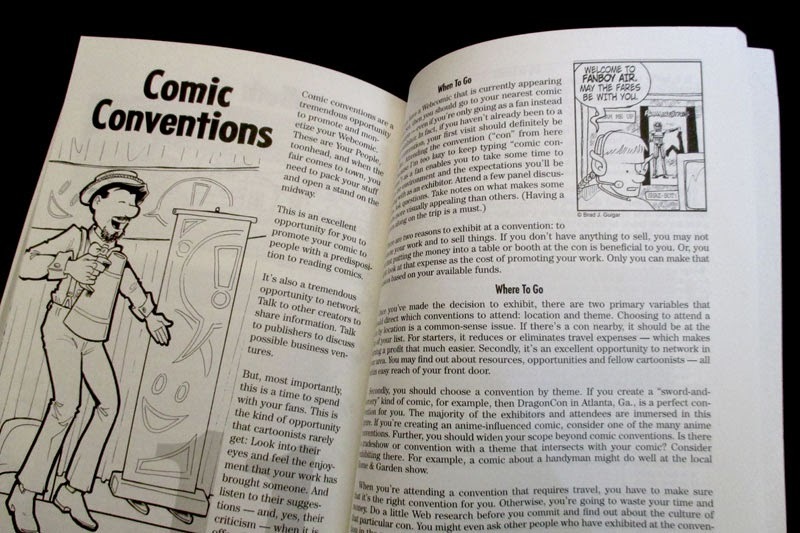 Example: the book takes a whole chapter to talk about “formatting” which condenses as much comic page/panel/strip theory into one section (and does a great job), but it’s much more useful if you’ve already got some knowledge about comics (or have at least read some!). They are great about introducing complex topics and describing them, but the book is 10x more effective with a little bit of forward understanding of comics. SO GO OUT AND READ SOME OKAY? Set Up of Chapters. 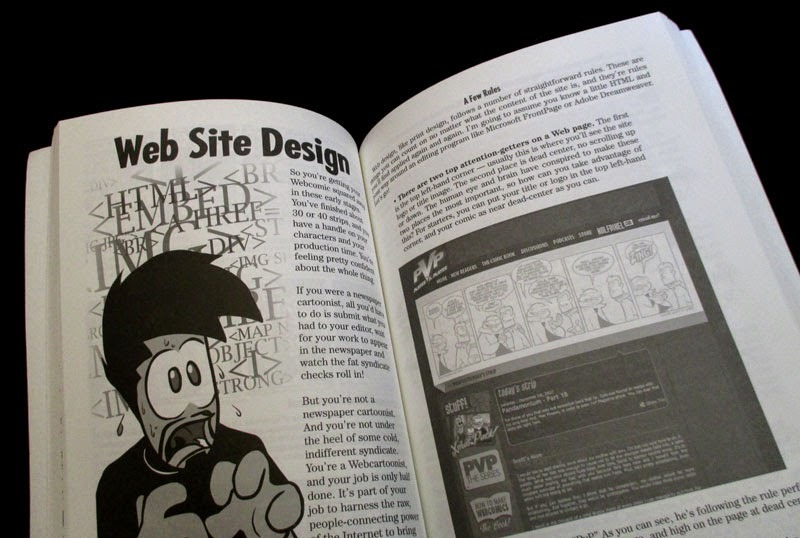 I felt like the book really meshed with the current state of the web and its comics. The writers were not only knowledgeable on how comics are made and drawn, but they’re very savvy about dealing with readers, publishing, all the way to comic conventions. 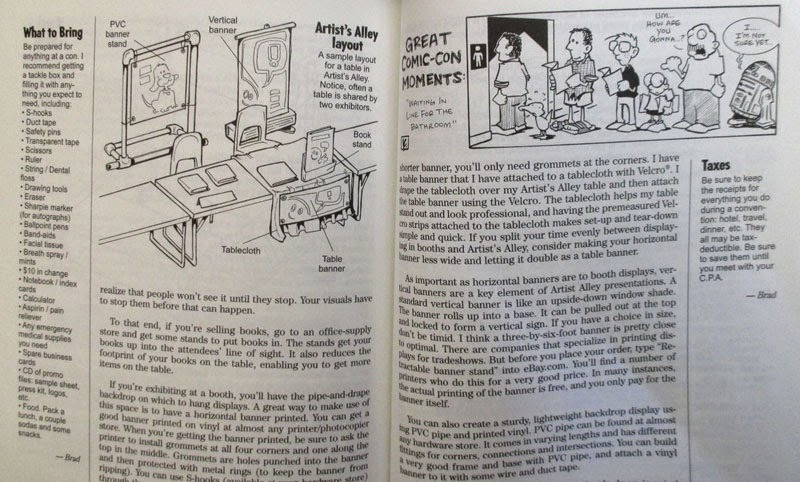 There’s an ENTIRE chapter devoted to comic conventions (and it’s where I learned the term “booth barnacle” and have been using it ever since). The writers WANT you to be as successful as you can, and that’s why they took all their info they had and squished it into a book. 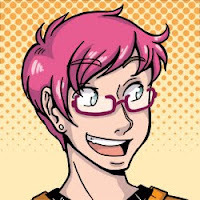 The chapters themselves progress in a logical manner as well – it starts out with a “what is webcomics” inspirational chapter, leading to characters, writing, formatting, then BAM! Right into things like image formatting, readers, website design – all that OTHER stuff nobody talks about. It then finishes with the culmination of things like printing, monetizing your comics, and convention promotion. I wanted more! Honestly, I would sit and read a 600 page book written by these folks. Their love for the craft is very apparent, but I suppose I’m glad it’s short and sweet (at 195 pages), because it’s much more portable for me. All the behind-the-scenes of making a webcomic. They want to teach you all the really-important-but-never-talked-about parts of comics. They want to teach you technical terms so you can create a better product. They want to warn you about things like buffers and devoted readers who are over-enthusiastically obsessed. They want you to be as successful as they are. They will provide you all the tools and information they can (and most likely had to learn all on their own). How to draw a web comic. Honestly. They’re not here to show you how to draw people. They’re not here to give you plot generators. They’re not going to talk about how to pitch to find an artist, or how to deal with distant writers. This isn’t a bad thing though – because the amount of information they’ve provided is INVALUABLE. I love this book. So much. I recommend it to every fledgling and experienced webcomic creator out there. Thank you for your very kind words about our book! I couldn't find a place to e-mail you this message directly, and I don't want to look like I'm jumping into your blog with shameless self-promotion, so please feel free to delete this comment after you read it. Regarding your sole criticism — wanting more — I couldn't resist sharing with you the sequel to the "How To Make Webcomics" book, called "The Webcomics Handbook," that I published earlier this year. All updated, heavily expanded with topics that simply weren't around when the book was first written in 2007 (Twitter, Facebook, Kickstarter, etc.)... this book is 150% bigger than the original. And it's also currently available for pre-orders on Amazon.com! Oh my goodness! Ahh! I am so delighted that you were able to see my review. :) I love this book to pieces, and I simply tell everybody who's contemplated comics to check it out. In that regard, I'm definitely going to leave the comment up here so if other people want to reserve the next book they totally can. I know it's going on MY list. :) I'm so excited to hear you're making another!